Margate Creatives. 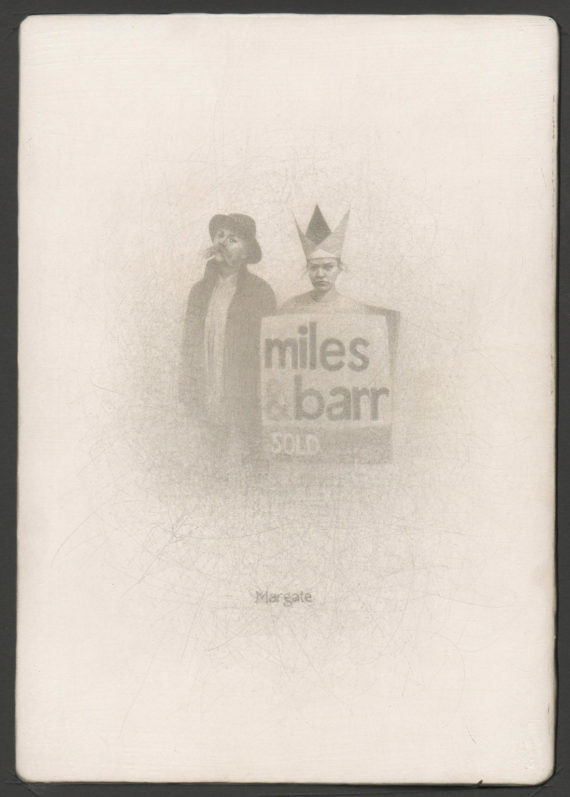 2010s (silverpoint on gesso, 20.7cm x 14.2cm) is one of an ongoing series of small metalpoint drawings of people in costume, or uniform, with a connection to the sea side town of Margate. It’s part of a long term project using found images and old photographs which have the town of Margate as the connecting theme throughout. How people chose to dress, or what people are required to wear for their jobs, can say a lot about a time and a place. A photograph of a smiling man, dressed in battledress and walking down Cliftonville’s Northdown Road on a sunny day in 1940, says something about the world beyond Margate but it is also just a picture of a happy-looking person on a sunny day (this image may form the basis of a future drawing). 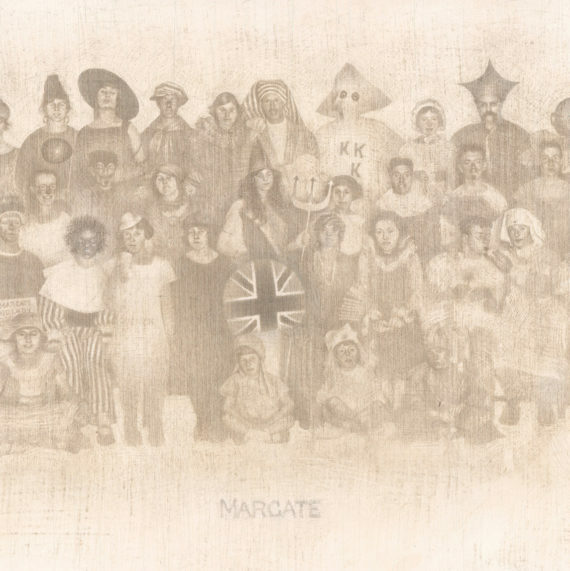 In my drawing, Margate Imperialists, 1930s (see earlier posts), we see men dressed as women, a man dressed as a working class ‘Margate Landlady’, a woman dressed as a black faced minstrel and a member of the Klu Klux Klan. And all these people, and others, are assembled around a young woman dressed as Britannia (Empire Day?). In this drawing we see two women dressed for a Margate-themed party: one is dressed as a local businessman and the other is dressed as a local estate agent’s ‘SOLD’ sign. Margate is presently experiencing the process of ‘cultural regeneration’.